What Will It Take to Launch the Next Game-Changing Solar Racking System? Glenn Harris outlines how companies can bring new railless PV racking systems to market. 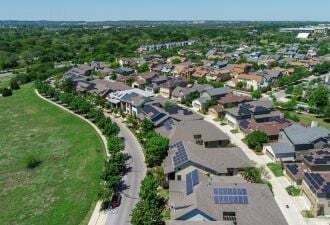 Almost everyone agrees that a railless residential mounting system like the one developed by Zep Solar speeds up installation and improves logistics compared to traditional railed systems. While Zep Solar was and is a darn good first-generation residential railless mounting system, most contractors found that its high hardware cost did not justify their switching costs -- the labor time and dollar savings, logistical improvements, and other benefits just weren’t enough. The exception, and it’s a big one, was large contractors like SolarCity and Vivint, which were able to offset the increased product cost with significant improvements in their industry-leading daily installation rates. Zep’s sale to SolarCity in 2013 for $158 million proved the value of lowering total installed cost with innovative mounting systems. After SolarCity’s purchase, all the other contractors that were using the system and most of the PV manufacturers that put Zep’s grooved frame on their modules got “Zepped.” In other words, their investments in integrating the system into operations or manufacturing the non-standard module product were stranded. Imagine for a moment that you have designers and teams of installers trained on a differentiated mounting system. Suddenly the company manufacturing the mission-critical equipment is sold to your direct competitor and you realize that you have no choice but to switch to something else. It will be quite a mad scramble to get a new product selected, a new supply chain setup and everyone retrained while trying your best to keep your projects going with minimal disruption. 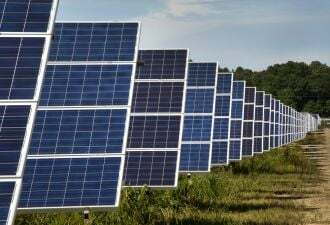 Making matters worse, the years-long and very well publicized legal drama between Zep Solar and Westinghouse has made the installation and manufacturing communities leery of new entrants into the railless mounting space. The concern is that Zep’s new parent would go after any competitive threat with its portfolio of patents and legal resources. With these two issues fresh in everyone’s mind, many companies are still understandably reluctant to make major changes to their standard products or operations because they may adopt a product that will become a headache. This situation skews the competitive landscape, potentially stifles innovation and slows down cost reduction. That being said, when first-generation systems demonstrate some success, industry reacts. Zep’s sale and the resulting product category void have sent the engineers back into invention mode. A few new railless products have hit the market, but so far, adoption has been slow. We’re hearing that the industry has three main criticisms about these new offerings: high price, lack of required features and intellectual property concerns. Free of intellectual property concerns. We doubt that Elon Musk, chairman of SolarCity, will be as interested in sharing Zep patents as he was in sharing Tesla's patents. So make sure to steer clear of potential lawsuits. Fast and easy for installers. This is a key part of the value proposition for railless devices. The system should cut real install times down by hours. Simple for the designers. The product should offer lots of design flexibility. It should adapt to roof vents and other penetrations, angled or pyramid arrays and work on a wide range of spans. Landscape and portrait installs. There is way too much variability in roof configurations to have a system that only works one way or the other. Compatible with composite and tile roofs. The technology needs to be able to adapt to all the different roofing manufacturers' products. Robust flashing and roof sealing. One of our key responsibilities is to protect the house from leaks, and we’ve learned how to do it. Keep it inexpensive and simple. Roof rafter attachment. This is a proven, structurally sound approach. We learned the lesson long ago that systems screwed into just the deck may loosen up in the near term. Integrate the grounding. Get rid of point-to-point module ground wires. 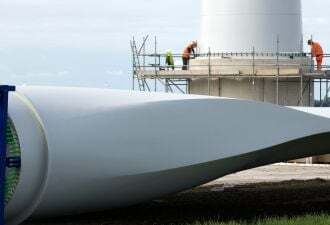 This reduces material cost, speeds up installation and lowers O&M expenses. Easy height adjustment and array leveling. It's important that there's enough range to compensate for lots of rooftop unevenness. High strength. Railless systems have some limits, but the system should be able to withstand all but the highest snow and wind loads. This covers almost all of the U.S.
Low weight. It’s easier on the roof, lowers material costs, reduces shipping expenses and hedges against future metal price increases. Reduced parts count. 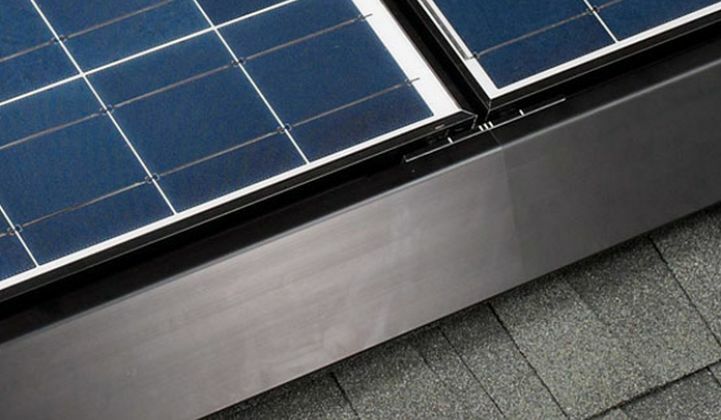 The system shouldn’t need more than a part or two to attach the PV modules to the roof. Everything else is superfluous. Standard tools and hardware. Railless systems should have less hardware, so it's important to standardize the nuts and bolts to cut the tool-count down. PV module-agnostic. Everyone wants the option to choose their PV supplier and module type. Whether the module is low cost, high power, has super aesthetics or different frame dimensions, the system should work. Top-notch aesthetics. A lot of work has gone into making modules look great. Make sure the mounting system complements the modules. While many of these features seem self-evident, the engineering effort to roll them into one product is absolutely non-trivial. A good deal of time, effort, ingenuity and capital will be required to bring such an innovative product to market. And what about the all-important factor of cost? Late last year at a Greentech Media event, MJ Shiao tackled the subject of railless mounting systems. 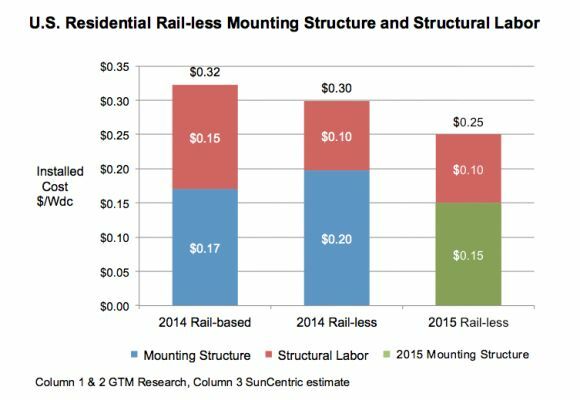 One of his charts shows that in 2014, the hardware cost of available railless systems was higher than that of rail-based systems. We’ve added the right column to show what we think the installed cost of a residential railless system could easily be today. Railed systems, which have dominated the market for decades, have about reached their engineering limits, and it’s difficult to see many practical differences between the products now on the market. Approaches such as increasing volume, streamlining operations and reducing margins offer some limited potential for cost reduction, but manufacturer profits will likely suffer. Railless products have the opportunity to radically shift the cost curve downward and potentially provide for disruptive business models. 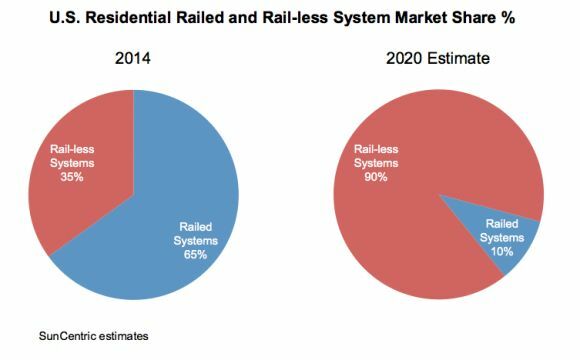 We think that over the next five years, the industry will adopt railless systems for the vast majority of residential installations. The railless revolution is coming. Lower hardware costs, faster installs and improved logistics will drive adoption by all contractors regardless of size. Like other manufacturers in our industry, mounting system companies will have to reduce real costs and sustain their growth on lower dollar-per-watt revenue. The leader, while not clear at the moment, will have a significant opportunity to dominate this product category, create a substantial, profitable business, and become the industry standard. Glenn Harris has been in the solar industry for 15 years and is the CEO of SunCentric, an industry consulting firm. He also serves on the board of advisors of Pegasus Solar, a rooftop mounting system company.